When I heard that my grandson was going on a one week school trip to France and his Mum would be left at home, I saw it as a great opportunity for the two of us to get away together for a few days. We decided to hop across the channel. Being early in the year and in school term time, DFDS fares were reasonable, so we booked. Having landed in Calais, we didn’t drive far. Only a few miles down the coast to Les Epinettes at Peuplingues. The site is a mix of touring pitches and mobile homes. The touring pitches are all on grass, which are divided by 4 foot high hedges. There are two toilet blocks, but one was closed during our stay since it was early in the year. The main toilet block is of a good standard however, to obtain hot water in the showers, it requires a token to be put in a meter. Also in the main toilet block is a chemical disposal point, however there is no adjacent hose and tap for rinsing. Opening times at reception are at the whim of the owner. Certainly during our stay, the office was more often closed. For anyone requiring an overnight stop close to the ferry or tunnel, at around €13 per night, Les Epinettes is ideal. 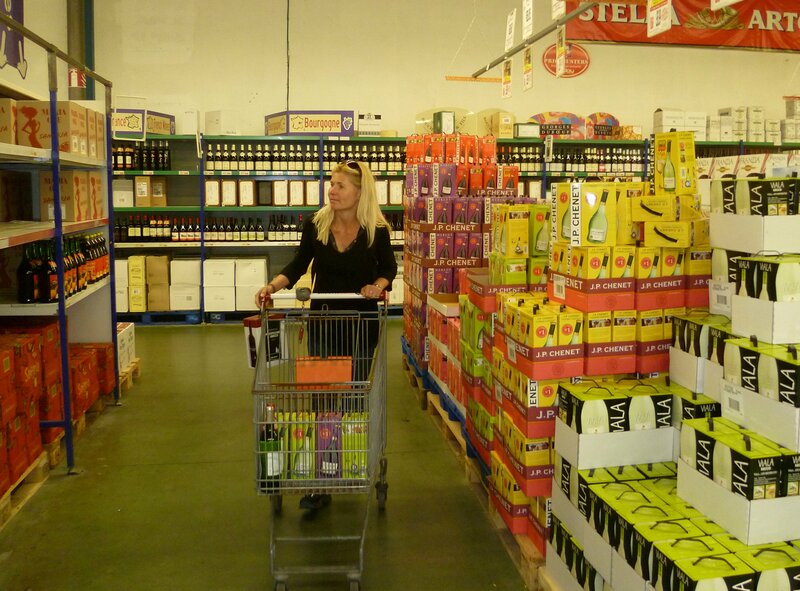 We arrived on site in the early afternoon, so after settling on our pitch, connecting water and electricity, we returned to Calais to buy provisions at Auchan. The hypermarket is less than 3 miles away. With our shopping put away, we went out to explore and within five minutes by car we were at the beach where we parked on the cliff top. Although the coastline at this point is cliffs, a slipway has been excavated through the cliffs down to the shingle beach. 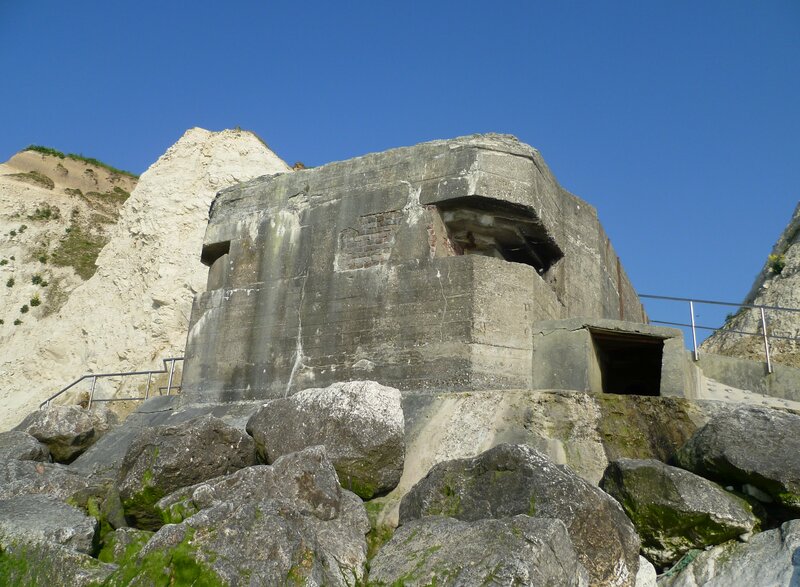 A concrete World War II bunker sits lopsidedly at the cliff’s base. Beyond the bank of shingle is a very broad stretch of fine sand. After a stroll along the cliff top we returned to our site to prepare an evening meal. A beautiful morning, so we packed some lunch and set off towards the beach. 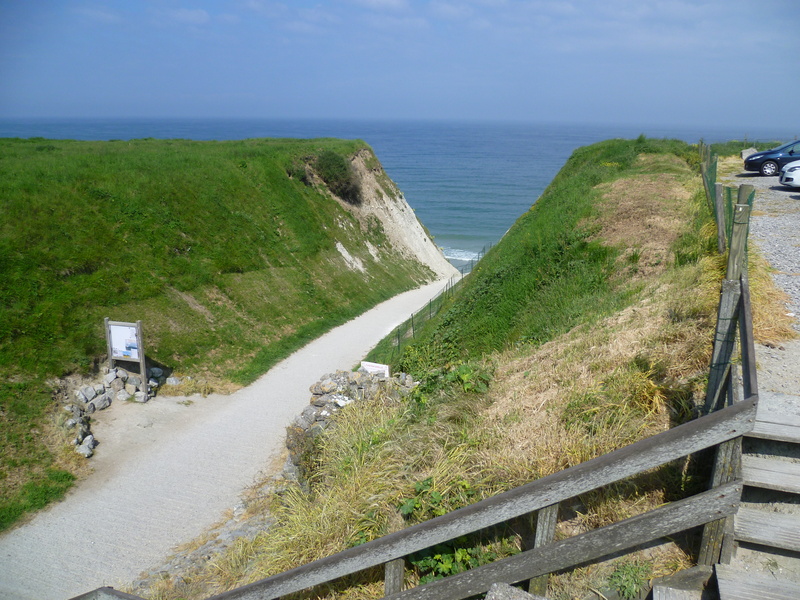 My daughter’s plan was to take the coastal footpath and walk towards Wissant. Meanwhile I drove along the ‘Opal Coast’ road in the same direction. 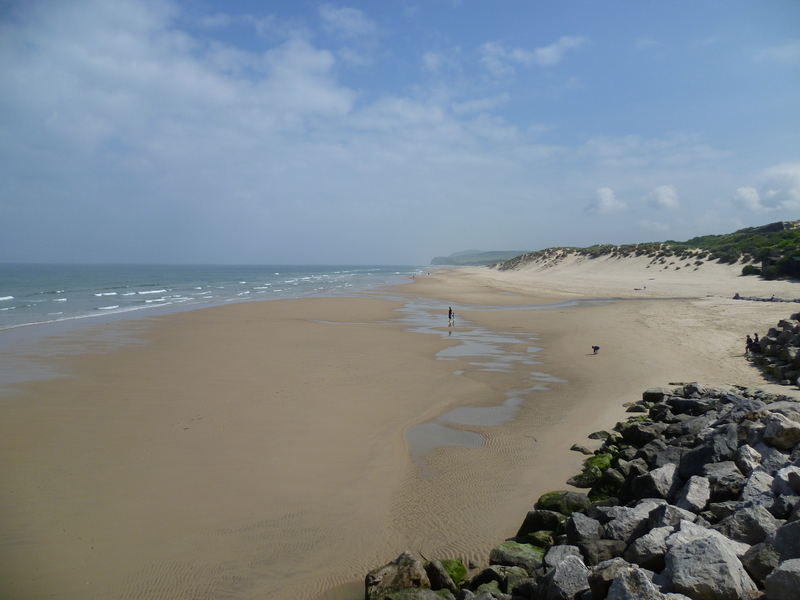 I soon reached Wissant and parked in one of the beach car parks. 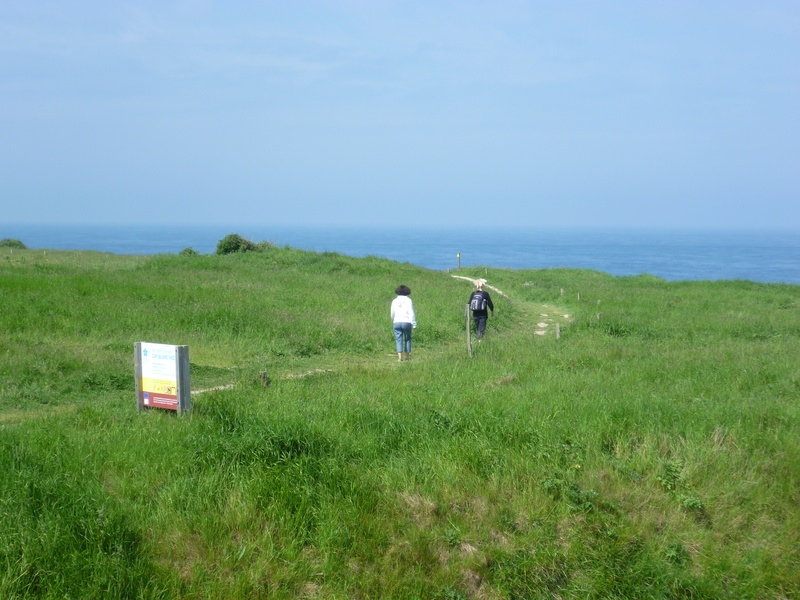 The area at this spot is at sea level and during WW2 it was believed that any Allied invasion could take place here so it was heavily fortified. Consequently there are many abandoned concrete structures left behind on the beaches. It’s a lovely seaside village where all the roads meet at the church in the village square. It was to there that I walked. It must be all of 35 years ago since I brought the family to Wissant on an Epsom Coaches French day trip. At the time we were amused to see the ‘Gents’. Simply a 5ft high wall erected a couple of feet away from the church. ‘Les Homme’ went behind the wall and pee’d against the church. That facility, I was pleased to see was no longer there. 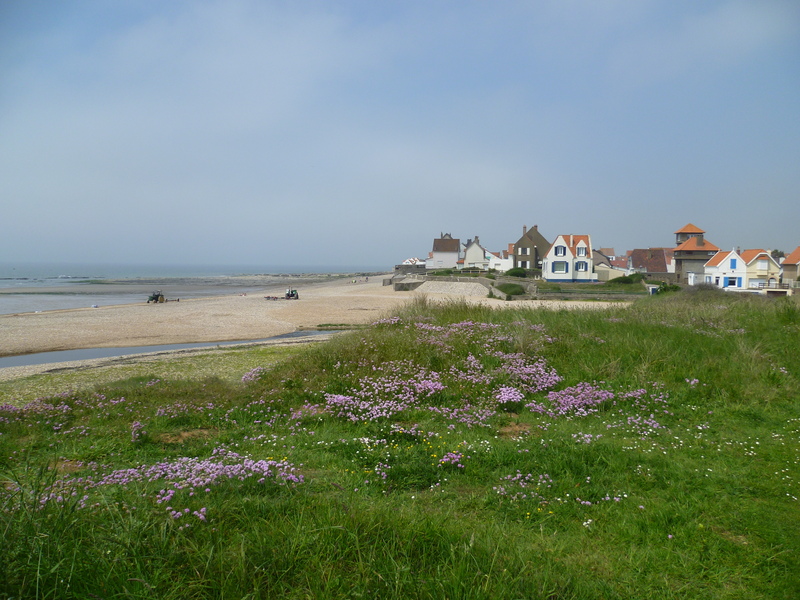 After a while daughter and I met up at the prom and after a coffee, we drove on to the next village, Ambleteuse where the broad stretch of sand still formed the beach. Having found a nice area on the dunes, we decided to have lunch there. 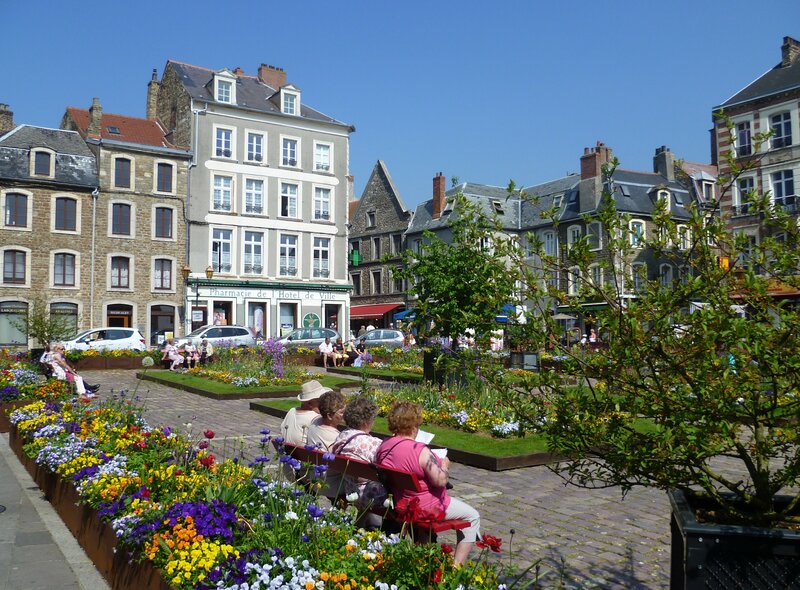 Later in the afternoon we drove into Boulogne, through the town and up the hill to find a parking space close to the old town walls. 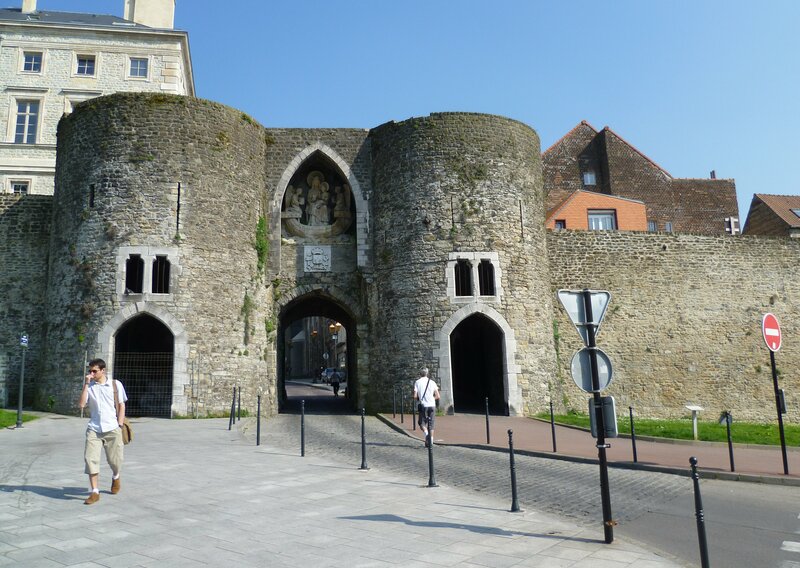 We walked through the arched gateway and immediately saw the roads were still pavé. Ahead of us was a square laid out with formal gardens and benches. After sitting a while in those peaceful surroundings we moved on to see the Basilica of Notre Dame. It’s a comparatively new building since it dates only from around 1850. 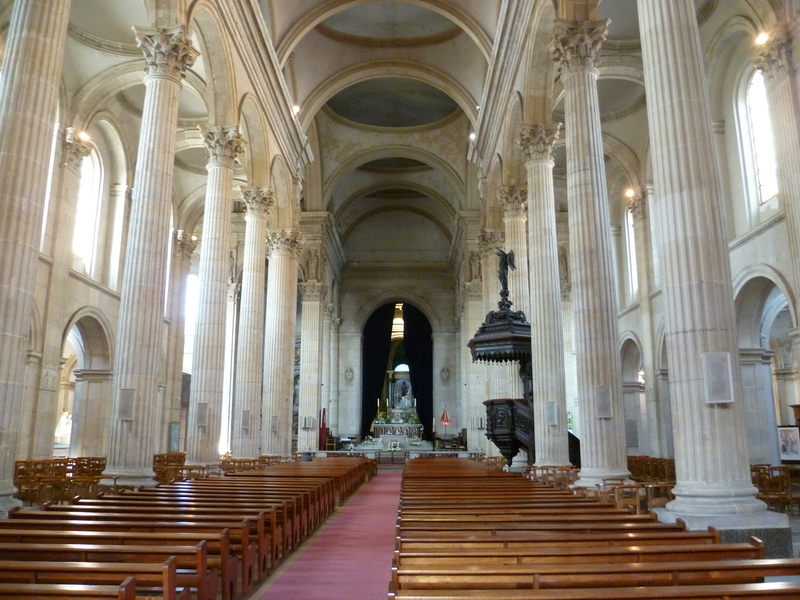 It’s built on the site of a medieval cathedral which fell into disuse during the French Revolution. For a time the cathedral was used as a military warehouse, but eventually it was pulled down and its building materials sold. Although the present church has replaced the cathedral, the building has never been granted the status of cathedral. Another fine looking day, so with sun loungers and lunches packed, we left the site and turned onto the A16 toll-free motorway towards Boulogne. A mile or so beyond the town, a toll station is reached, where the road becomes a toll autoroute to Abbeville. and on to Paris. However, we took the road towards St. Omer, and then by means of country roads, we reached the village of Azincourt. 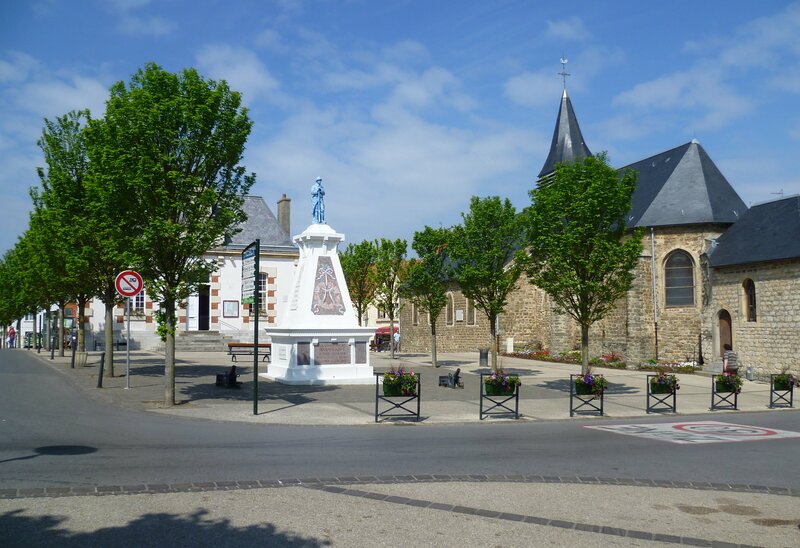 The village is not too far away from the area where on the 25th October in 1415, our King HenryV led his knights and archers in the victory we know as The Battle of Agincourt. Looking at the gently sloping fields and woods, were it not for the commemorative monument by the roadside, it is hard to imagine that it’s a place where so many men met such a horrible death. In the village there is a small museum devoted to the event. On our way back to our site we did a slight detour so that we could visit La Coupole. 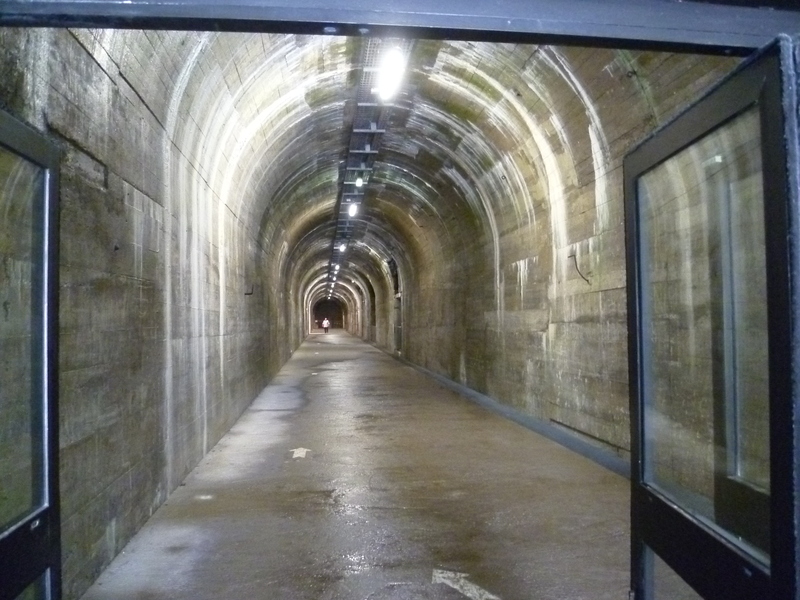 This is a gigantic concrete bunker which was built by forced labour in 1943 to enable the German army to launch V-2 rockets against this country. Fortunately it was such a huge undertaking that it was quickly known about and steps were taken to prevent it from fully coming into use. 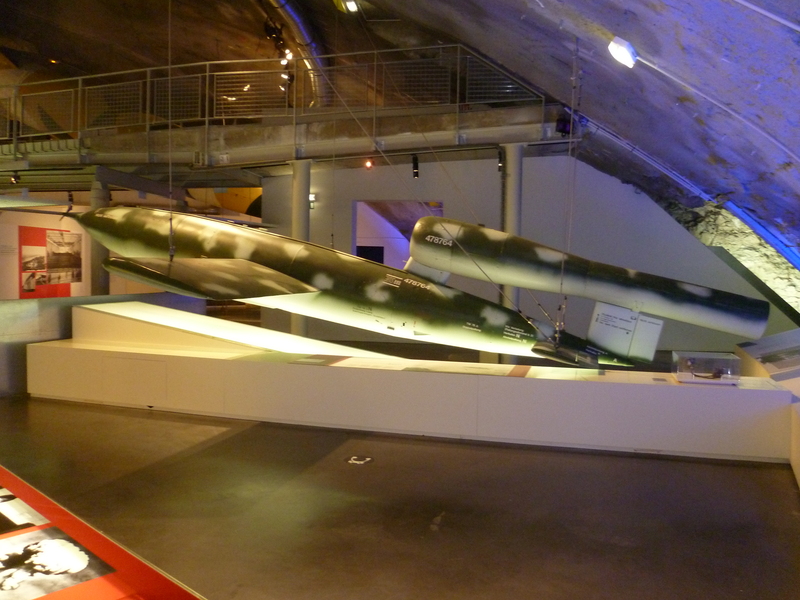 In recent years, after being partially demolished, it has now been turned into a museum. Our last day – and I wanted to do something which I’ve long thought about doing. That was to see the spot where the boy who would have been my uncle, had he lived, was buried. 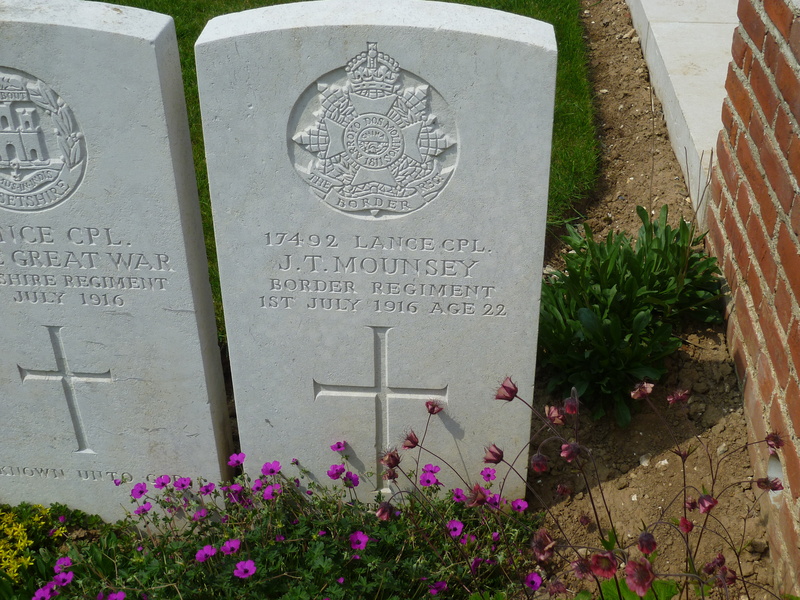 He was one of 15000 men who were killed on that 1st of July 1916 – the opening day of the Battle of the Somme. 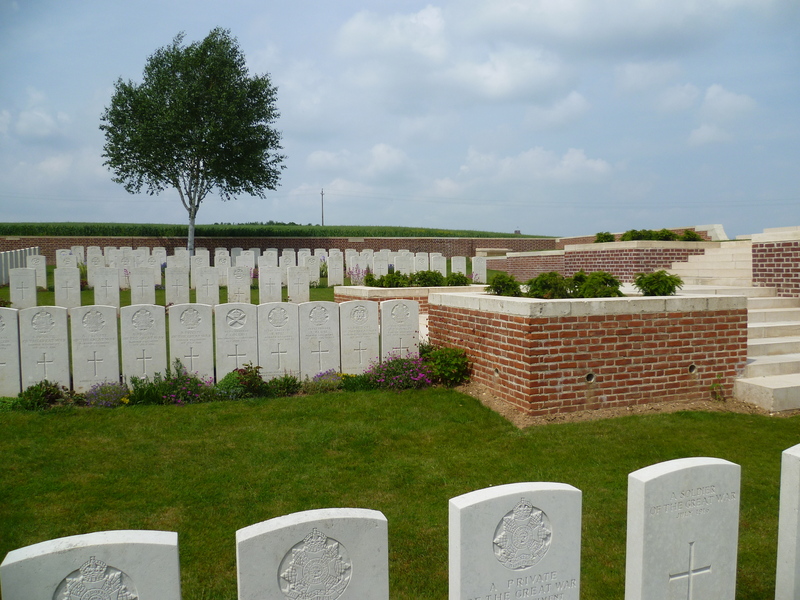 I had previously checked the war records website and discovered that he was one of a 1000 or so men laid to rest in a tiny plot near the village of Authille. It was going to be a long drive but one I felt I wanted to do. After slightly more than 100 miles we were in Albert where we took to the country roads. Authille turned out to be little more than three or four cottages and a farm. Fortunately a sign indicated the way, and eventually the cemetery was found in the middle of a wheat field. 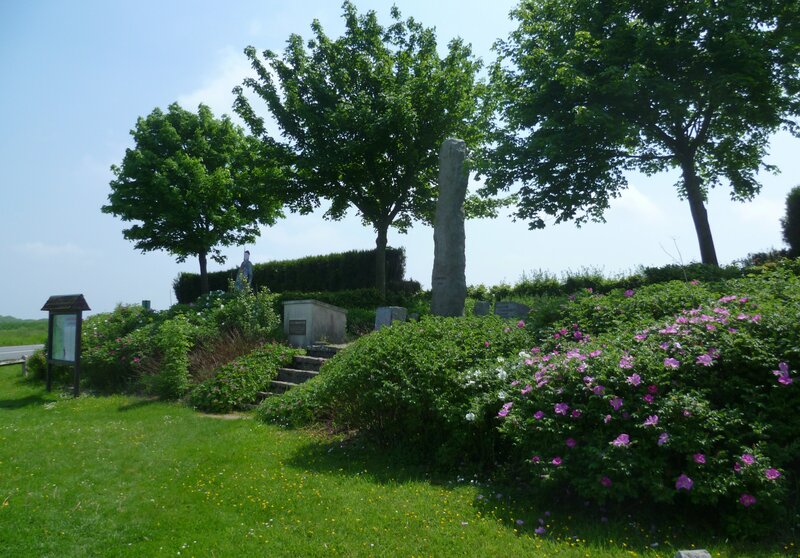 As with all WW1 burial grounds, it was beautifully maintained by the WGC. 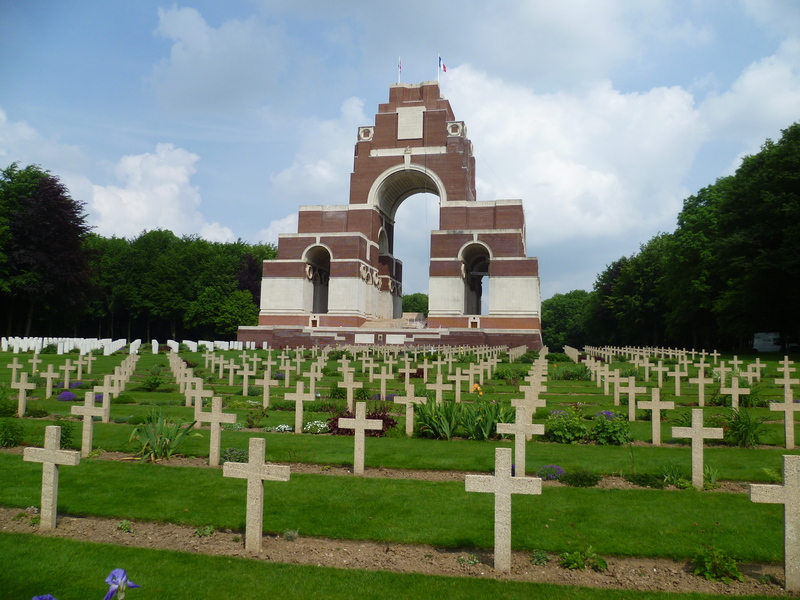 Since we were in the area, we also visited the nearby memorial at Thiepval before beginning our long drive back to the site. It was time to return home today. Our sailing back to Dover was not until 13.00hrs so before leaving Calais we called in at the local Pidou to replenish our ‘cellar’.